Looks like it’s time to accept the fact is Facebook is not the safest social network ever built. 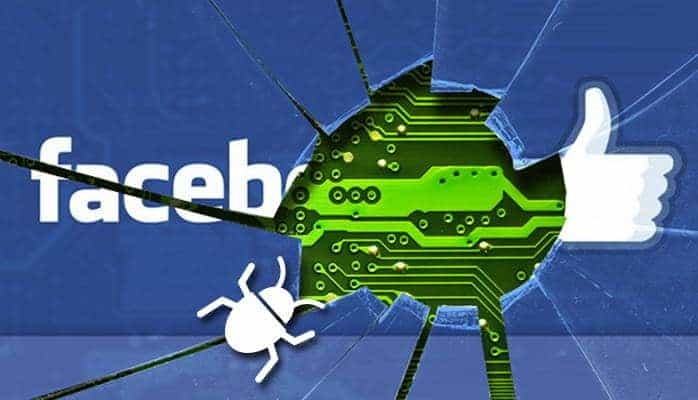 Just two weeks ago, we published the news about a bug on Facebook, which was reported by Vivek Bansal, an ethical hacker from India who earlier exposed a bug that let you post on anyone’s timeline without any ‘post permission’. Now, even after so many days when Facebook did not fix the bug, he again uploaded a video and we watched how it is still active and Facebook don’t give a damn to such a serious issue. hopefully, after this news got published on many other websites and other places, Facebook somehow woke up from the dream of ‘being the king of social networks’ and they mailed back again. And the reply to the mail was just shocking enough, not only for Vivek, but may be it will be shocking for all those people who have security concerns and privacy related thoughts related o Facebook. Now this is what Vivek wrote on his LinkedIn. Also, here is the email that Facebook sent to Vivek. Now, the question is who will fix the bug? Facebook stated that they will block the apps that help spammers or hackers to do such a harm to any user. Well, the statement sounds clear, but the shocking thing is that the app Vivek created has not been blocked yet, so how can Facebook guarantee that blocking and identifying such apps will reduce the risk to such a bug? If someone creates an app and spam someone’s timeline, it can ruin their reputation, may spread violence or do many other kinds of harm. Then when will Facebook take action and how will they remove the spam immediately, as if the spam spread over just a few accounts, it is enough to destroy someone’s reputation.